Picture this: you’ve just gotten off a very long plane ride and you’ve finally made it to your dream destination (hey…maybe it’s Paris…). Your feet touch that foreign soil, you successfully find your bag amongst the millions that look exactly the same (thank goodness for that name tag, right?! ), you exit the airport, head to your hotel and BOOM. You are TIRED! Never fear – I am here to help you beat jet lag, one step at a time. And this isn’t just about beating that sleepy feeling, my friends. Beating jet lag will help you prevent losing your first day (or days) of vacation due to being too tired to enjoy things. Trust us on this one – you want to make every single moment of your vacation memorable and special! Before we jump into what to do to recover from jet lag, you may be wondering, hey…what causes jet lag anyways? I’m about to get a little technical on you- so listen up. Jet lag is also known by its more medical term desynchronosis (try saying that one 5 times fast…). This is a fancy way of saying that your body’s internal clock is a little screwy. The natural rhythm that our bodies follow to know when to eat and sleep is called a circadian rhythm, so as we move through time zones, it’s no wonder that we start to feel funny. We’re talking upset stomach, bowel problems, loss of appetite, and even memory and concentration issues. And extreme fatigue on top of all of this? What a nightmare, am I right?! 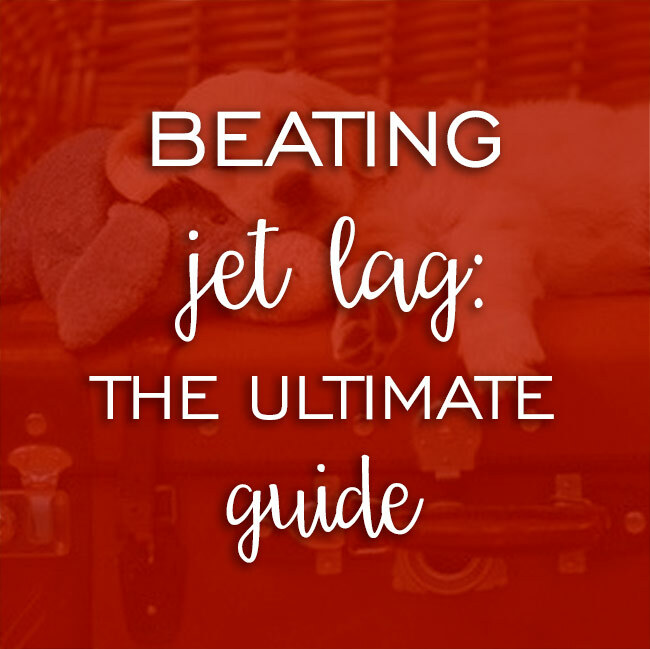 Now that I’ve filled you in on just how terrible jet lag can be, I’m sure you’re all itching to know what you can do to prevent and treat it. It may seem like a bit much to prepare for jet lag before you actually go on your trip – but trust me on this one! You (and your internal clocks) will thank me. First things first, do you tend to plan out your days to the minute? Meaning – do you tend to wake up and go to sleep at the same time each day, and eat your meals at the same times too? 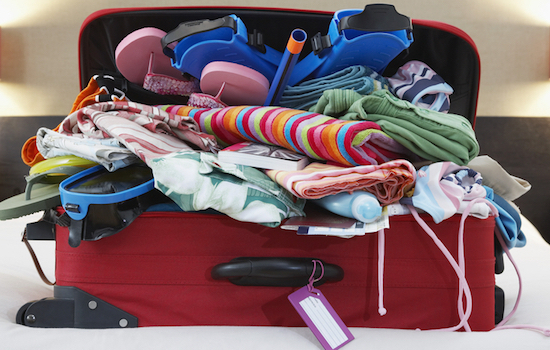 Well… relax and/or mix it up a bit the week before your trip. This way your body is a little prepped for future wacky scheduling, and can ease into the time zone change experience. Speaking of relaxing: try not to have too much of a hectic or stressful day before you board that plane. Okay, okay, I know that the days leading up to a vacation can be crazy (hellooooo packing your bag at midnight when your flight is at 9am – been there! )… but try to take a deep breathe, eat a yummy meal, and curl up with a good book the night before you depart. Going into this experience in a more relaxed headspace will make all of the difference. The mind controls the body, after all! Coffee lovers: I am so sorry to have to say this – but avoid the good stuff before, during, and after your flight. I know, I know – it’s hard to start your day without that caffeine fix. But believe me, you won’t want that extra boost once you get settled into your flight and need to get a little shut eye. This advice goes for our alcohol lovers as well. You may be thinking “a little nightcap is what I need to get some shuteye!” We’re sorry to be the bearers of bad news, but…this actually doesn’t help you sleep. And it will end up causing even more dehydration, like we mentioned above. You may call me a broken record by the end of this but…keep chugging down that water! Hydration really is key here. Once you’re snug as a bug in a rug in your new home for the long haul, try to get some rest. BUT – put down those sleeping pills, please! You may think it will help when you’re sleeping on the plane, but once you land and want to start exploring in your arrival city – you’ll want (NEED) all the energy and alertness you can get. Sometimes when taking sleeping pills, if you don’t get that full 8 hours of sleep they help provide, you’ll wind up groggy instead of rested. No one wants to explore a beautiful new place (like Paris!!) with sleepy sand in their eyes! Instead of popping a pill, why not invest in some ear plugs, an eye mask, and a really awesome neck pillow? Don’t forget to also turn down that movie/laptop/tablet…the blue spectrum light effect can have some really bad effects on your sleep cycle – and that’s just what we’re trying to avoid here. If you can’t seem to doze off, read a book (you remember what those are, right??). Another sleep tip for you, especially when crossing more than a few time zones. If it is night time in your destination city – try to sleep. This will help your body get a jump start on its new “normal” sleeping hours. You’ve survived that long flight and have made it to your destination, yahoo! The first thing you should do is get outside. Yes, even if it’s cold. Yes, even if it’s already early evening or nighttime. Just throw on a jacket, breathe in the fresh air, and soak in the natural light (or absence of it – give your body the indicators it needs to reset its clock). This is a good moment to mention that it’s always in your best interest to choose a flight that arrives at your destination during the day time. Not only does your body soak up the natural light (cue: it’s daytime! Stay awake! ), but a little movement outside to tire yourself out is always a good idea. You can’t know how much it pains me to write this section. However… try not to take that nap I know you’re craving. You’ll thank me in the evening when you are so tired you’ll be able to sleep right away! It’s a good rule of thumb to stay awake until at least 9pm local time. Go to bed at your normal sleeping time (in local time), if you can make it that long. If you feel like you can’t sleep through the night – now would be a good time to try out a natural sleep aid like Melatonin. When I say eat and drink, I’m not talking about deep-fried twinkies, heavy cream sauces, or beer, people. (Sadly). Give your body the fuel it needs – that means “healthy” foods and (you guessed it!) lots of water. Avoid eating super heavy meals which will make you sleepy early on. You’ve experienced a food coma, right? When jetlagged, that food coma can seriously take you out. Same for sweets, which give your body a kind of artificial high. Paris has an amazing sweet treat game, but that’s an experience better left to a bit later in your trip. (Oh and if you want to get to some of the best stuff and learn about it too, you should check out this experience). And just for reading this article, we’re offering you a 5 euros per person off discount on your next tour! Just use the code JETLAG when making your booking. Easy peasy! A nice cup of coffee before a nice long day of exploring isn’t off limits, now that you’ve arrived (here are some of my personal favorites you should visit in Paris) – but watch the timing of your intake, and keep your latest coffee to 4pm or earlier. I know you’re probably sad – your vacation is over! But you know what could be even sadder? Being even more jet lagged when you get home. The best way to prevent jet lag once you’ve gotten home? Take my advice from the beginning of this article. That means on your last day of your vacation: try to relax, try to enjoy, and try to keep drinking that water. 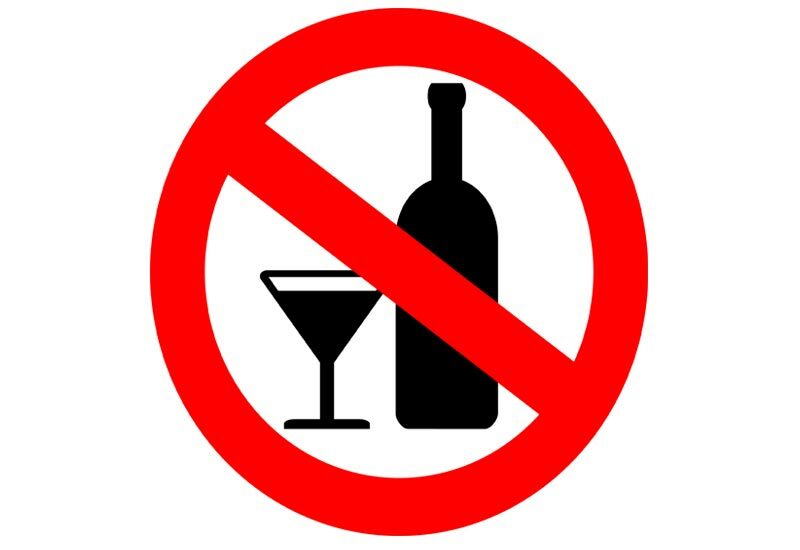 That also means: no coffee on the flight, no alcohol on the flight, and try to get some shut eye (I know…I sound like such a Debbie downer, but I’m trying to help, I promise!). And once you drop down in your hometown? Why not try taking a walk with a good friend you want to tell allll about your trip to take your mind off of that nap you’re craving. 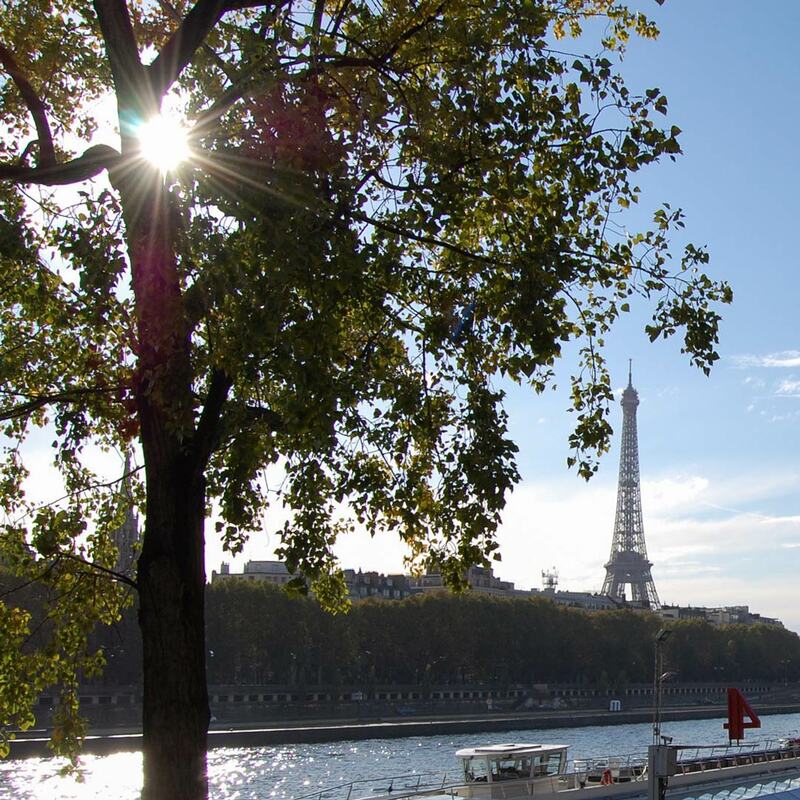 This entry was posted in Paris Activities, Travel Tips and tagged guide, jet lag, travel, travel tips. Bookmark the permalink.